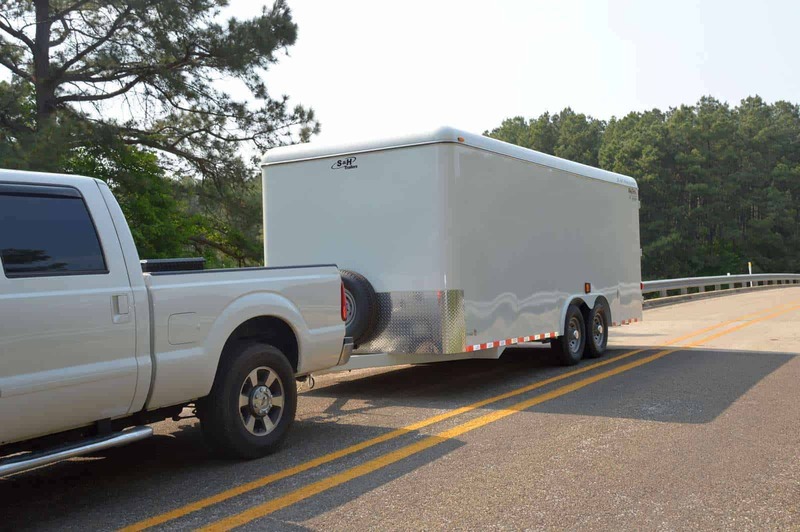 If your service vehicle of choice is a cargo trailer, then choosing the right enclosed trailer accessories can help you get the most out of your vehicle. Enclosed trailers are ideal service vehicles because of their versatility and low cost. Having the convenience to detach your mobile workshop and leave it one location, while the tow vehicle does other things is the key to what makes these so popular. Regardless of the overall size, door configuration or trade, the key to getting the most out of your trailer is the proper selection and installation of enclosed trailer accessories that meet your needs. Knowing what you need will help you choose the best accessories that will give you a custom layout that will allow you to become more organized and productive while maximizing your trailer’s capacity. What kind of tools, equipment and materials do you need to transport? Knowing the amount equipment that will travel with you every day will ultimately help you determine the size of the enclosed trailer you’ll need and the right combination of shelves, bins, drawers for your customized layout. Do you need to keep your ladders secure and out of the elements? For some jobs, bringing a wet, snow encrusted ladder into a client’s home is not acceptable. Do you leave your enclosed trailer unattended for periods of time? You can increase the security of your storage system with locking drawers and lockers to keep your valuable tools and equipment safe. Do you need to be flexible and have the ability to modify the layout quickly? 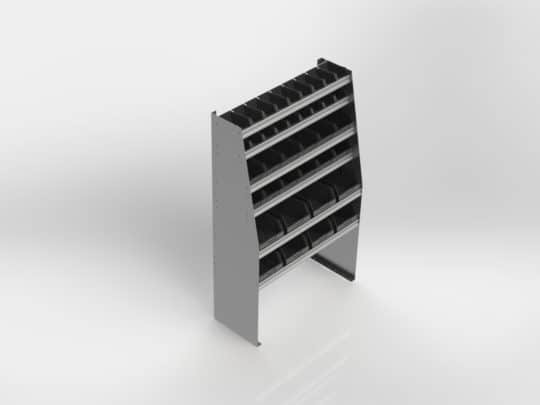 Foldable shelving can give you the ability to add or fold down shelving to meet changing cargo requirements. Whether it’s the navigating rough roads of a construction site or crumbling city streets, well-designed enclosed trailer accessories will keep your tools and equipment in the right place. You can be confident that when you open the doors to your enclosed trailer that all is secure and there is no damage to equipment or materials. 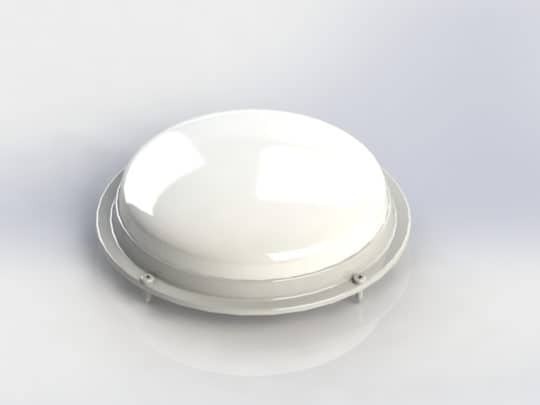 Durable – built of rugged materials that can withstand the conditions that tradesmen will put them through year after year. Secure – they use heavy duty locks, hinges, and handles to keep your valuable parts and tools safe and secure during transportation. Customizable – can you build a layout that meets the needs of your particular trade and conditions? Can you add to it or modify it at a later date? Shelving systems– most trailers tend to have straight walls and the best shelf systems to maximize your cargo space are straight back units. Choose units that are built of steel or heavy gauge aluminum that can save you weight. Storage Bins – bin shelf units come in many different sizes and configurations to hold anything from small to medium size parts. 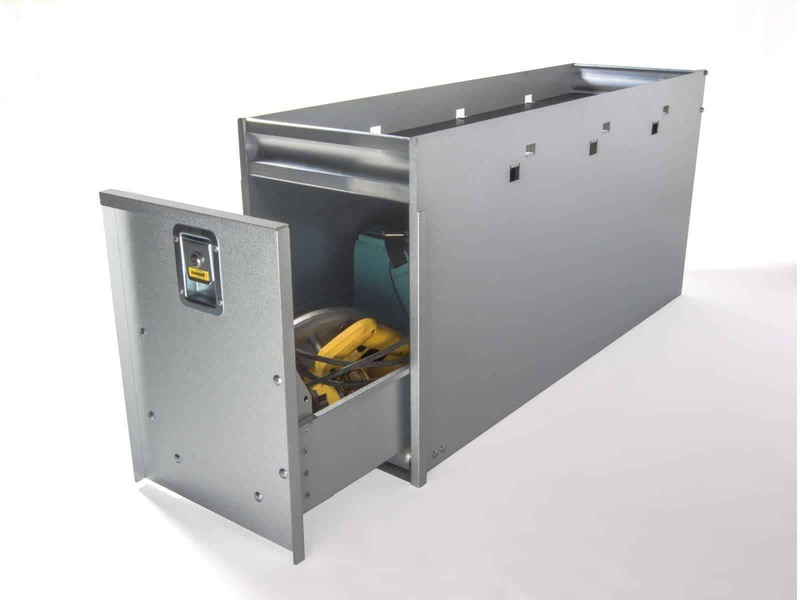 Tool Drawers – drawers do the heavy work of sliding out heavy tools or equipment. They can help prevent injury or strain by removing the need to bend and stretch to lift things out of your trailer. 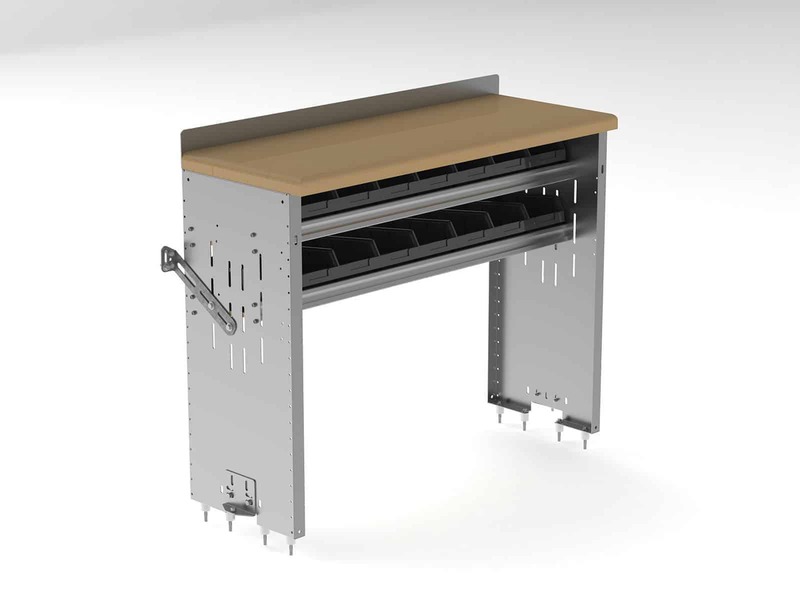 Work benches– make your enclosed trailer a true mobile workshop by installing a work bench. 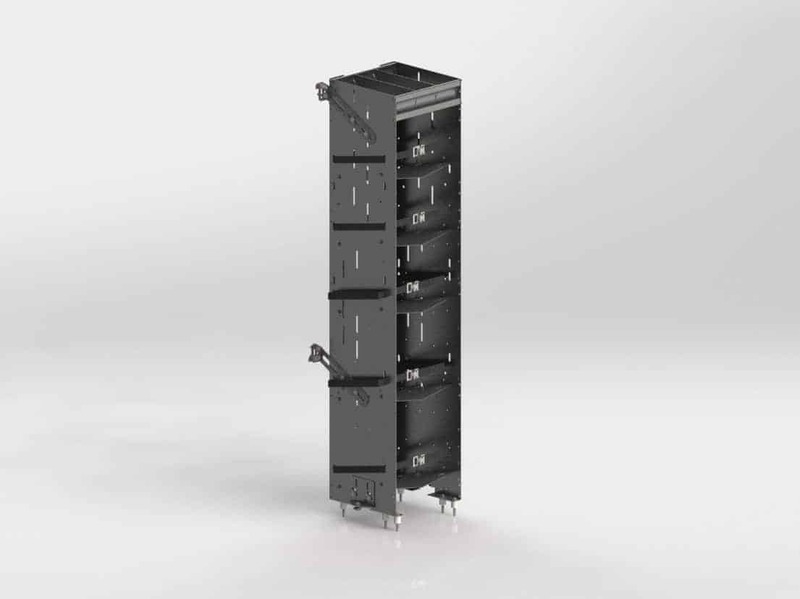 Lockers– lockers protect valuable parts and equipment both while being transported and while unattended on the job site. 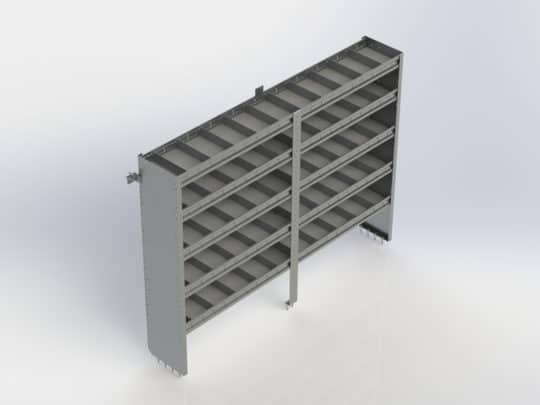 Freon racks – ideally for HVAC tradesmen, freon racks securely transport bottles/cylinders of compressed gas. 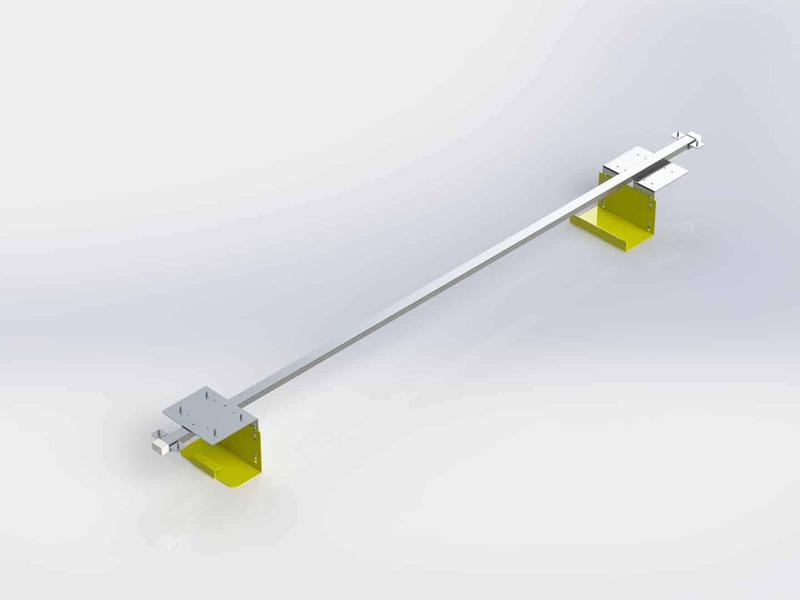 Interior Ladder supports – used to keep those expensive ladders safe and out of the bad weather. 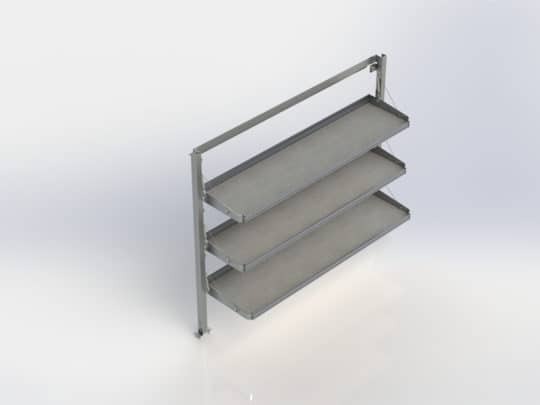 Fold-Away shelving – gain maximum flexibility for your layout by having Fold-Away shelving. All of the above listed enclosed trailer accessories are available through Ranger Design. 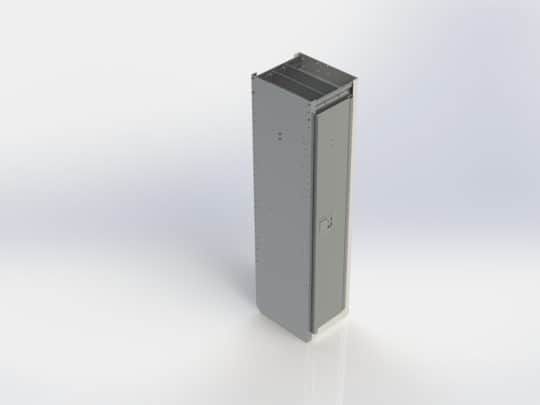 For more than 25 years we’ve been designing and building the storage solutions that tradesmen have been looking for. Most are available in steel or heavy gauge aluminum and are designed to fit all types of service vehicles. Call one of our product specialists today at (800) 565-5321 for more information on the enclosed trailer accessories that can help you become more organized and efficient. Contact us or request a quote today.